Mark your calendars! Come see how we have it made in Southern Illinois during the “Southern Illinois Made Expo” on Saturday, July 27 and Sunday, July 28 at The Pavilion, 1602 Sioux Drive in Marion. Proceeds from this event will benefit Veterans Honor Flight of Southern Illinois. 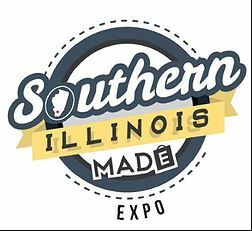 We are excited to invite you to participate in the Southern Illinois Made Expo on Saturday, July 27 from 10 a.m. to 4 p.m. and Sunday, July 28 from 10 a.m. to 4 p.m. This is an exciting initiative developed through a partnership between State Senator Dale Fowler and Southern Illinois Chambers of Commerce. The event will be held in Marion, Illinois, serving as the premiere opportunity for businesses like yours to showcase the impressive products made and destinations available in Southern Illinois. All proceeds from admission and exhibitor fees will go toward Veterans Honor Flight of Southern Illinois. Exhibitors from all over the region are invited to display and sell their innovative products, unique creations, and tasty treats and showcase fabulous Southern Illinois destinations. The event is also open to the general public – giving everyone the opportunity to experience firsthand the quality of unique products made by Southern Illinois artists, designers, and manufacturers and the beauty of Southern Illinois destinations. A donation of $5 to Veterans Honor Flight of Southern Illinois will be suggested for admission by all guests. Senator Fowler and our Chambers are excited to give our local business community an opportunity to showcase the products, services and destinations produced and offered in Southern Illinois. The event will be held Saturday, July 27 from 10 a.m. to 4 p.m. and Sunday, July 28 from 10 a.m. to 4 p.m. at The Pavilion, 1602 Sioux Drive, Marion, IL. We hope that you join us in showcasing all that Southern Illinois has to offer. Purchase a Wheelchair Banner today for $100. Your banner flies for 1 year, and helps us keep Veterans Honor Flight moving forward. Banners can be made In Memory Of or In Honor Of a veteran in your life, or with a custom message to show your appreciation for our veterans.